1) I can stop saying someday I am going to write a book. I did that. Many of you have been exceptionally gracious in your embrace of it. The reviews are heartening, and the emails I am getting from people telling me they chuckled, teared up, or are living through similar challenges tell me the words are starting to meander to outer circles. To share these words is pure fulfillment. 2) Health care is going to be accessible to a lot more people who desperately need it. Yes, the ACA website was botched and Obamacare v1.0 is not exactly what the doctor ordered, but we have started on a long overdue journey of empathy and caring that is befitting of our prosperity. In a decade the launch will be no more than a footnoted glitch, and wellness will be broadly understood as a civil right. 3) U.S. armed forces previously on combat duty are largely out of Iraq and have not fired a shot in Syria. Hopefully we are turning the corner. Give Peace a Chance. 4) Our new little rescue pooch (Kole) is teaching our senior bigger dog (Ellie) a lot of new tricks. I have the pictures to prove it. Dogs are good for each other, and good for the soul. I learn a lot from these mutts, and they don’t much complain when I read dialogue to them. 5) I have not opened a bad bottle of Rioja this year, and not paid more than $20 retail for the privilege. The values in Spanish wines remain astounding. 6) My amazing wife continues to change the world by bringing English language skills to college students studying in the U.S. from abroad who love her for it. She is so good at what she does, it is humbling. 7) The Dodgers made it to the NLCS and got as close to the World Series as they have in 25 years. Wait ’til next year. 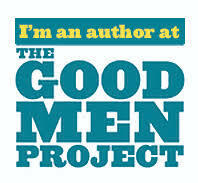 8) Good Men Project is at record traffic levels and building a tremendous community. Our CEO, Lisa Hickey, is heroic. Our team of editors, staff writers, and independent contributors is tackling complex issues with equal parts gravitas and good humor. Next year we focus on video, mobile, and subscriptions in addition to new categories, better sponsorships, and broader syndication. 9) Thrift Books is growing, growing, growing. Our new President, Mike Ward, is 100% focused on People, Products, Profits, in that order. All three are really good. We are blessed, we are expanding, and we are green! 10) The feedback I receive from our CTI Executive Coaching students gives me reason to smile ongoing. They are taking the message of People, Products, Profits into corporations all over the world, helping executives perform better with a grounded human approach that unlocks creativity and makes innovation happen. Teaching this workshop has been a rare opportunity. Hearing back from our coaches in the field reminds me that business can always be made better and more sane. 11) The FDA just banned trans fats. We won’t miss them, not even a little bit. Fewer heart attacks, longer lives, healthier families. 13) Our Celebrating Children event at Dodger Stadium raised over $150,000 to help support the kids and families we serve. Click on the image at the bottom of this post for a little video that tells Hector’s Story and you’ll get an idea why this work matters as much as it does. And hey, we got to meet Dodger Great Maury Wills, who was on hand to share stories of Chavez Ravine past. 14) I am working on my next writing project with one of the most talented editor/publishers a fellow could ever hope to welcome into his life. And the project after that. And the one after that. So hey, go buy the one that’s out there so I can come tour your neighborhood on his nickel guilt free. 15) Two of my close friends beat nasty forms of cancer this year. They were brave, resilient, noble in their struggle, and triumphant. They taught me a lot, more than I could have imagined. Raise a glass of Rioja, you earned it! Happy Thanksgiving 2013, whether you share the holiday in the United States or somewhere else in the world in spirit. Celebrate the joys that are yours. Earn Each Moment. This entry was posted in Business, Family, Ideas and tagged Celebrating Children, CTI Executive Coaching, Give Peace a Chance, Good Men Project, Lisa Hickey, Mike Ward, Rioja, Thrift Books, Trans-Siberian Orchestra. Bookmark the permalink. How Fragile Is a Brand?